STOW, OH, May 12, 2015 - Audio-Technica is now shipping its AT-LP60 Fully Automatic Stereo Turntable System in striking blue (AT-LP60BL) and red finishes (AT-LP60RD), available exclusively at Amazon.com. Also available in silver and black, the AT-LP60 is a complete turntable and cartridge package that makes it easy to enjoy listening to records. 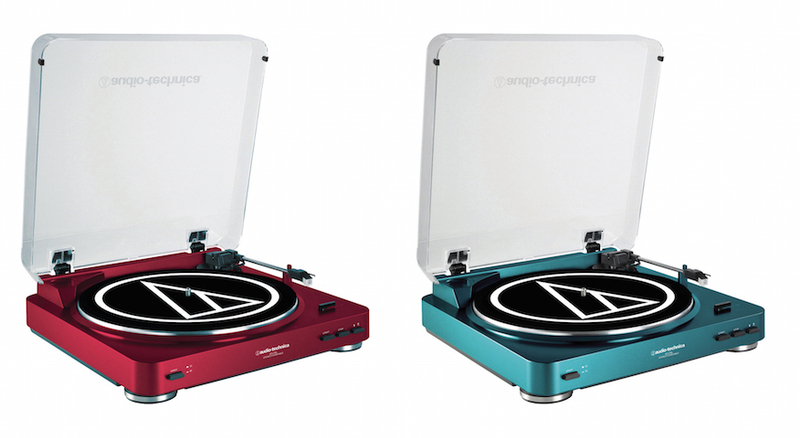 Crystal Griffith, Audio-Technica Consumer Marketing Manager, noted, "Our AT-LP60 is one of the most popular affordable high-quality turntables on the market, and with its blue and red color options it brings even more style and fun to vinyl listening." The AT-LP60 features completely automatic operation - just push the play button and the turntable does the rest - and a 33-1/3 and 45 RPM speed selector to play vinyl formats from LP albums to 12-inch and 7-inch singles. The turntable is designed to deliver outstanding sound, with a heavy-duty precision cast aluminum platter, a high-quality Dual Magnet TM stereo cartridge with replaceable stylus, and a pickup arm with soft damping control.